A new, portable fuel cell charger will be available to buy this year and it claims to be able to recharge your iPhone between 10 and 14 times. The small charging device does not need to be recharged by plugging it in; it works with replaceable fuel cell cartridges which can even be carried on planes. Fuel cell maker Lilliputian Systems today announced that Brookstone will be the first retailer to carry its portable USB power source, which will be sold under Brookstone's brand. The fuel cell device is about the size of a thick smartphone, and the lighter fluid-filled cartridges are about the same size as a cigarette lighter. It's a big step forward both for Lilliputian Systems, a 10-year-old spin-off from the Massachusetts Institute of Technology, and for portable fuel cell technology in general. 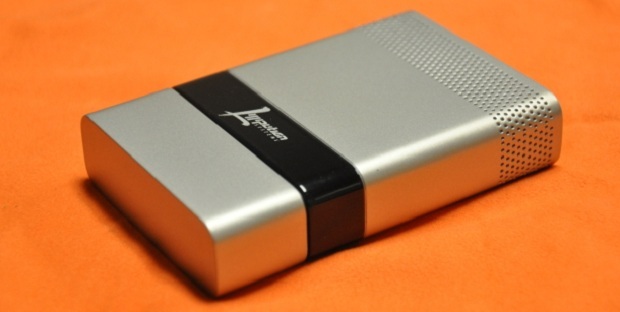 Several fuel cell companies have developed portable power systems, but a number have failed. The new fuel cell will charge any device that has a USB cable. The charging unit and replacement cartridges will be available to buy online from Brookstone and the cartridges can be fully recycled once depleted. There is no pricing information available at this time however the replacement cartridges are thought to cost no more than a few dollars. The system is being tested with users this year and an announcement on retail availability should follow that. We've used all sorts of batteries for years, from household brands like Duracell and Energizer to the lithum-ion and lithium-polymer types found in many gadgets. How does the idea of a fuel-powered cell grab you?